Rich, creamy conditioner and preservative with natural moisturizers to help restore and conserve automotive leather interiors. 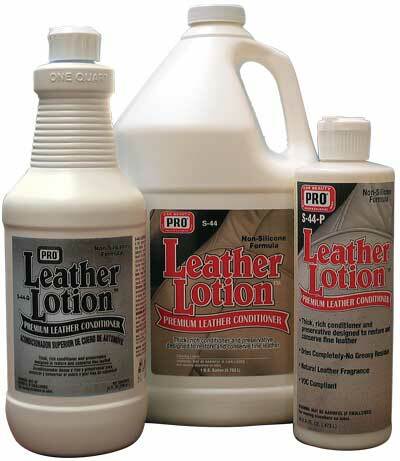 Unique non-silicone formula penetrates easily into wet or dry leather to bond with fibers. Keeps leather feeling soft and smooth. UV resistant. Leather fragrance. Available in pint, quart and gallon sizes. VOC COMPLIANT. Meets CARB/OTC Regulations.